God has a problem. Christianity has lost control of its brand. "Brand" is a story, marketing wizards insist. That's because identity itself is a story, psychologists explain. And in the distance, off high in their ivory towers, semioticians, philosophers, and artificial-intelligence folks agree: meaning of any kind comes down to a story. Even the most rigorous scientific research-report tells a story: I asked, I tested, I found. Stories are this central because storytelling is how the human mind organizes and remembers the very most complex kinds of information. Our ability to tell stories no doubt explains our evolutionary triumph over other mammals, most of whom run faster, see better, and have much more impressive teeth than we do. We're wimpy little things biologically—but wow can well tell stories. As a result, we can transmit acquired skills and traits, which is no small trick. We can share complex, hard-earned wisdom about how to build skyscrapers or submarines, how to write apps or symphonies, and how best to navigate in a complex, messy, paradoxical world. And so to say that Christianity has lost control of its brand is simply to say that it has lost control of its own story. Or its stories, plural: the four Gospels, just for starts, four very different interpretations of the life of Jesus. According to the Religious Right, the story that is Christianity goes like this: Jesus came to save you from God. To have even half a chance of getting in on that rescue, you have to believe what we tell you is true about Jesus. Believe it exactly as we tell you. Otherwise you won't believe what will happen to you after you die. What will happen, in fact, to everyone but a teensy slice of humanity. Our God will see to it that you are tortured in the afterlife for an eternity, hour after hour for billions of years. And Charles Taylor, in one of the 900-page scholarly studies for which he justly famous, documents in massive detail the obvious consequences of that claim. In A Secular Age (2007), he attributes the rise of secularism to the fact that this radical vision of Christianity is singularly unattractive. If that's Christianity, then nothing it has to offer is half as comforting as deciding the whole thing is nonsense. Secularism—a long-established trend in Europe—is now skyrocketing in the United States as well. As I said: God has a problem here. The story Jesus himself told about God has been shouted down. Here's the story Jesus told: God is cosmic universal compassion. God desires the genuine well-being of everyone. All of humanity. If we are to be followers of Jesus—that is, if we trust this confrontational, original, darkly hilarious Jewish theologian and sage—then we too should seek the genuine well-being of everyone. And not just that. Jesus also said that God smites nobody. Smiting is seriously non-compassionate. And so we should lay off it too. If we want a way out from the craziness of our lives and dysfunctions of our society, Jesus taught, we have to extend compassion beyond our own cozy social circles. We must extend compassion to total strangers, to immigrants and outsiders, and even—gulp—even to those who hate us. These are two very different stories about Jesus. Behind these two different stories about Jesus there are two different stories about God. As I explain from various angles in other volumes in the Confronting Fundamentalism series, the story "Jesus came to save you from God" dates from about a thousand years after Jesus himself. It arose as a story about Jesus imposed by liturgical changes demanded by the emperor Charlemagne in the 800s. He wanted a consistent "media message." He wanted his state religion to align more coherently with the remarkable brutality of his campaign against the Saxons: they were "converted" at sword's point because in a theocratic system loyalty to the crown and loyalty to the state religion are indistinguishable. The Saxons were the very first Christians to decorate their churches with sculptures of the dying Jesus nailed in agony to a crucifix: look what God did to Jesus. You, my dear, had better watch out or God will do even worse things to you—and for an eternity, not a few hours. Confronting fundamentalism requires confronting the fundamentalist misreading of the Gospels. 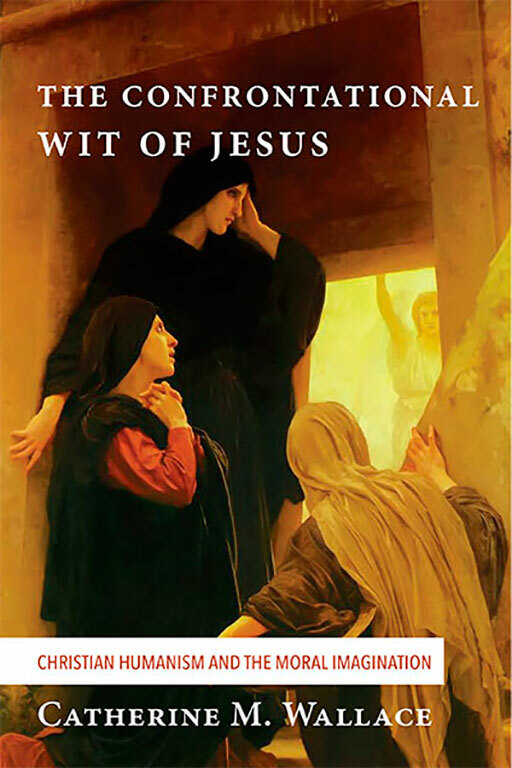 As Christian humanist scholarship has delineated in growing detail since the 1300s, Jesus of Nazareth must be reclaimed as a remarkably original theologian in the Jewish tradition. The Gospel offer a densely symbolic claim affirming the validity of his insight: hey say that he is Israel's Messiah, the Chosen One, the final cosmic Son of God. (I'll get to that in chapter 5.) Whether or not you agree with that symbolic claim, Jesus's authentic teachings about socioeconomic justice must be reclaimed. His teachings about the power of compassion and generosity must be reclaimed. He laid out what it means to be humane. That teaching is a cultural heritage of remarkable importance, a heritage now at risk from a radical, highly politicized fundamentalism. Jesus traced our capacity for generosity and compassion back to their origin in what I can only call the humanity of God: God is not less than the most remarkably wonderful person you have ever known. I call that the Mrs. Halloran test. Mrs. Halloran was one of my mother's closest friends. She had a whole houseful of her own kids—eight or ten of them in a small bungalow. Her husband was working-class guy. But when I showed up at her side door to play with her daughter Barbara, her fact would light up. Her face was narrow, with high, prominent cheekbones; her eyes were pale blue; her hair a light brown and sort of frizzy. Her smile was so wide it changed the shape of her face. Mrs. Halloran had an infinite supply of ham sandwiches and chocolate cake, and she had nothing better to do with her time than hanging out in her kitchen talking and listening to a pair of little girls. Barb and I soaked it up. It's the kind of memory that got me through many hard times later in life: Mrs. Halloran thinks I'm cool. God cannot be less than the likes of Mrs. Halloran. Be suspicious, be very suspicious, of any theology that fails the Mrs. Halloran test. Jesus taught that God is compassion beyond what the Mrs. Hallorans of the world can offer. He taught that God is understanding and forgiveness. He portrayed God as courageous generosity and sustaining personal presence amidst our worst suffering. In that presence, we find healing. In that presence, we find resilience. We find the meaning of our lives, which is the truth that we are cherished beyond our wildest imagining—and we have something important to contribute, no matter what the world thinks of us. Trust that, and your life will slowly change. Your relationships will change. Whole societies might change if more people started thinking this way. These competing interpretations of the Jesus story are slowly forcing a split within Christianity, a split comparable in importance to the Protestant Reformation of the 1500s. On the one hand, there are people like Martin Luther King Jr. There are Christians insisting that compassion for others—and especially for the impoverished—offers our only escape from the nightmare of human history. On the other hand, there are those who insist that God is both violent and vindictive. But if God's violence is virtuous, if God's violence is morally necessary, then there is cosmic warrant for our violence as well. If God will torture the vast majority of humanity for billions of years on end, our most heinous crimes can be similarly justified. Which God? Which Jesus? It's a choice. It's a choice that becomes more urgent with each passing month. In some ways, what's at stake here is painfully obvious. Christianity is a global religion with unprecedented wealth and power, especially in the United States—a nation that itself possesses unprecedented wealth and power. It is dishonest for Christian fundamentalism to use these resources to support values that are antithetical to the values of the historical Jesus. You don't have to be Christian to object to such falsification, just as you don't have to be a climate scientist to object to nonsense from the hard Right denying global climate change As a society, we have a stake in intellectual honesty across the board. Distortions of Christianity are dangerous. They are dangerous because Christian rhetoric exerts a remarkable level of raw power over American elections and policy battles. It's dangerous because behind that sheer political muscle there is a vast array of symbolic, metaphoric, and artistic cultural resources. These have archetypal significance and deep psychological resonance in the West. Their loss is a real loss—and their misappropriation must be called out from within Christianity itself. The loss of these symbolic, metaphoric, and artistic cultural resources is only part of what's at stake. There's more: a rich heritage of wisdom. The historical Jesus—the real-deal guy, divine or not—had some remarkably astute insight into the dynamics of oppressed communities and, better yet, into remedies for what psychologists today call learned helplessness. Anybody who follows the news attentively knows what learned helplessness feels like. Learned helplessness can seem like the only rational response to what's going on all around us every day. In situations like ours, there are two great temptations. Violence is one option. Attack someone—anyone, really—upon whom we can blame this state of affairs. Find a scapegoat and have at them. That can mean military attacks against any nation that fails to serve "American interests." It can mean flame-thrower rhetoric that demonizes the political opposition, drowning out the voices of those who seek rationally balanced, critically informed, reality-based problem-solving. Or—second option—despair and alienation. Eat, drink, and be quietly depressed. Go to work, come home, rinse and repeat. Ignore; withdraw; take refuge in cynicism, mistrust, and the pursuit of physical pleasures. I confess: on bleak afternoons, a handful of almonds covered in dark chocolate can feel like a remedy for what's wrong with the world. And if there's nothing I can do—what can anybody like me do?—then why not? I'm a nicer person to be around when I can dial back my urge to rant about problems I can't possible influence. Jesus had a lot to say about both of these temptations. And what he said was not "believe or burn." He offered a way to claim and to reclaim human dignity in the here and now. The third item at stake here is an open question that no one can answer definitively. But everyone is at risk in how the question is answered. At stake in any consideration of Jesus’s heritage are questions about compassion and human nature. In the last analysis, are compassion and generosity more powerful than hatred and violence? Are we, in the last analysis, intrinsically evil, violent, and indifferent to the needs of others? Or is compassion intrinsic to who we are as human beings? Biologically, we belong to the category of creatures biologists call "social obligates." Humans live in groups. Are we, then, inherently pro-social? These are metaphysical questions, not empirical ones. Christianity as I understand it has an unequivocal set of answers. But these answers are framed in deliberately theological language, so please bear with me here for a minute here while I sort through that. As I understand it, Christianity proclaims that God is intrinsically compassionate. As a result—theologically speaking—compassion is by definition supremely powerful in human affairs. It's powerful even if we don't always see that influence day-to-day. Christianity also asserts that we ourselves are inherently compassionate, responsible, and pro-social—despite the fact that we do not always behave in accordance with our true nature. We are inherently compassionate, inherently virtuous, etc. because we are made in the image of God, who is the fullness and perfection of compassion. Authentic Christian tradition thus constitutes a strongly pro-social pressure on Western culture by teaching that all humans are essentially compassionate. The pro-social pressure exerted by such teachings is remarkably valuable, because of course there is no unequivocal empirical evidence for the truth of these claims about human nature. Is the glass half-empty or is the glass half-full? It depends how you see it. And how you see it says as much about you as it does about the glass. I can stand at my living room window looking down at one of the most congested neighborhoods in what is one of the nation's most congested cities, and as I do so I have marveled repeatedly at how collaboratively most drivers behave. Most drivers stop at stop lights in that wonderfully predictable Midwestern way. Driver after driver allows a waiting car to pull out of a parking garage no matter how badly the street is backed up—and it's almost always one car at a time pulling out. The next car waiting to exit the garage does not commonly try to force its way out. It's all remarkably civilized. Traffic around here may be dreadful, hovering for much of the day on the brink of gridlock. But traffic is not a chaotic, egotistical free-for-all. I marvel at that. Does the ordinary courtesy of law-abiding drivers counter-balance whatever atrocity currently dominates the news feed? That's an open question. "What does it mean to be human?" or "what is human nature?" is one of those intriguing questions that cannot be definitively answered. And yet the answers that we give have an exquisitely important cultural function. It seems to me that losing these pro-social pressures to a highly politicized, hard-Right, reactionary fundamentalism would be (and perhaps already has been) a significant cultural development. But plenty of Christians are vigorously resisting that loss. And so it matters a lot whether morally-sensitive secular humanists know enough about Jesus to recognize when his heritage has been co-opted. I want to give the Jesus story half a chance to be heard on its own terms. To do so, I'm going to bring to bear three very different sets of resources to bear. The cultural and historical context of the Gospels. That means recognizing cultural assumptions remarkably different from our own. It means recognizing political allusions. It means recognizing politically-laden allusions to Hebrew scripture. You can't set foot in the Gospels without stepping on several allusions simultaneously. They are dense with riffs on contemporary issues and cultural backstory. What "Jesus Seminar" scholars have assembled of statements that in all probability do go back to the historical Jesus of Nazareth. Sandra Schneiders, a biblical scholar of remarkable literary sophistication, has argued that the gospel biographies are a lot like historical novels. In historical novels, authors invents a lot of dialogue. They invent detailed scenes. They offer interpretations. And that's legitimate. In the end, historical novels can provide a more vibrant, more relevant sense of the past than any number of dryly accurate scholarly studies. But we need those dryly accurate scholarly studies, because the historical Jesus deserves a veto over what is said in his name. Where there are important contradictions within the Gospels—and there are some—I think it makes sense to base Christianity on what the man actually said. And so: when I quote Jesus, you will know that unless I say otherwise, I'm quoting what Jesus himself actually said insofar as scholars can reconstruct it. These reconstructions alone are not the great "Jesus Story" of Christian tradition. The Gospels cannot be reduced to this set of sayings and the rest discarded. That would be utter nonsense. It would destroy the Gospels' aesthetic integrity as historical-novels biographies. It would destroy the stories that have sustained Christian tradition for thousands of years, demolishing vitally important interpretations of Jesus. Nonetheless, as an historian I cherish these these scholarly reconstruction of passages that do track back to the historical Jesus. Without them, we would have much more trouble recognizing the sophisticated multi-dimensional interpretations that the gospel authors provide. I'll have more to say about the Gospels as historical novels in chapter 3. Literary criticism. I'm a literary critic. That's my expertise. Not biblical hermeneutics. Literary criticism is a very different animal. It's a different animal because, as Stephen Prickett explains in Words and the Word (1986), scholars working on sacred texts were separated off from scholars working on secular texts by university reforms in Germany in the early 1700s. Other universities soon followed. As a result, the two fields evolved their critical methods largely in isolation from one another. As a result, what I'm trained to do with a text differs in characteristic ways from what clergy do in sermons or biblical scholars do in their scholarly work. In practical terms: I am trained to perceive and to explain what a story means without anxiety one way or another about whether the events depicted took place at some historical moment in the past. I'm not distracted by such concerns. I'm not tempted to assume or to rely upon historicity in my conclusions about how a story functions as a story. A story says what it says regardless of whether any of it happened. And—a point of equal importance—regardless of how the text in question has been preached or cited as a foundation for doctrinal orthodoxy. Furthermore: I pay attention to literary details that others are apt gloss over. For years—for decades—I sat in pews, listening to sermons, looking at the text of the day, and yearning to argue back, but what about this? and what about that? In a story or a poem, every detail matters. Every detail is an aesthetic choice. In an historical archive, that's not the case. In an historical archive, some details are objectively crucial and some are irrelevant contingent clutter that can be disregarded. The historian decides on historical ground which is which. Reading the Gospels as objective history, or even as a best-effort attempt at objective history, demands very different interpretive tools than reading the Gospels as some of the most important stories in Western culture. In a story—let me say it again—every detail contributes to the literary impact of the whole. In the ancient world, the power of stories as stories was widely acknowledged. It was culturally important, because the ancient world did not have our technology for preserving and transmitting historical data. We are a data-obsessed, empirically grounded culture. They were not. What they had in the place of our vast array of databases was profound confidence in the moral imagination. They had absolute confidence in the power and durability of great stories to transmit culturally and morally important truths. They knew that a great story, brilliantly told, has a truth to share. It has insights to offer. It's also a robust media: a good story is far more easily remembered and repeated than any array of drily accurate historical facts. For instance, we all know the story about George Washington and the cherry tree. But quick: who was his vice-president??? And so: the Gospels as stories make claims we need to consider. These are claims about what it means to be human. They are claims about God and claims about Jesus. But to retrieve these insights, we too need moral imagination. We need to enter what critics call the world of the story. As I worked my way through a variety of scholarly studies of the Gospels and explanations of Jesus’s teachings, I began to see something intriguing. The Gospels of Matthew, Mark, and Luke, usually called the "synoptic" Gospels, are in quite substantial ways political satires. Satire is a major literary strategy organizing the plot at every level. In saying that satire is a major strategy used in the gospel narratives, I do not propose that the Gospels are comedies. They are not. Satire is not comedy. Literary theory divides satire into two varieties: "Horatian" satire and "Juvenalian" satire. Horatian satire is witty and urbane. The object of the satire is dumb. He's simple-minded in an essentially benign way that we can laugh at and forgive. A lot of the satire in The Simpsons is Horatian satire: Homer Simpson may be clueless, but he is neither evil nor dangerous. He inevitably loses out. Ultimately, he is no threat to anyone. Juvenalian satire, by contrast, is what we had in the best episodes of The Daily Show or The Colbert Report. Juvenalian satire is more often bitter, sarcastic, or angry. It is always sharply pointed, because the object of a Juvenalian satire is genuinely dangerous. And yet—and yet—even Juvenalian satire at its most "Juvenalian" depends upon laugh-lines. Why? Because the goal of great satire is to expose pretense, folly, or lies. Its major tool is moral ridicule: these people are not simply wrong. They are ridiculous. They fail to meet rudimentary moral and intellectual norms respected by all civilized people. They also dangerous and powerful, alas; but the fact remains that they are chuckleheads. We need to see that clearly, because to the extent that we see them as fools, we deprive them of power over us. Our laughter deconstructs the power of their rants, their hate-mongering condemnations, their contra-factual claims, and their willingness to exploit the uninformed for commercial or political gain. There is a dark, undeniably Juvenalian tone to the synoptic Gospels, because they end with Jesus’s savage death. But the Gospels are not tragedies. They are not stories in which a good man is destroyed. Nor are they comedies in which the forces of evil are defeated. Rome is not defeated. Roman occupation continues for decades, until finally the Jews are slaughtered wholesale and banished from their own homeland, not to return until 1948. The Gospels are neither comedies nor tragedies: they are stories of satiric reversal. They use laughter as a nonviolent weapon of mass disruption. They use laughter to build community, to build confidence, to build resistance to the despair and alienation that follow so easily from inescapable exploitation and abusive systems. Jesus did not die to save the world from a violent, vindictive God. Jesus died in a physically courageous attempt to save us from one another, a far more difficult task. If I am going to reclaim the Gospels from fundamentalism, I need to begin by doing two things. First, I need to summarize what Jesus taught. There are four points. It's actually quite simple, although the implications are enormous. But there are thousands and thousands of books laying out in great detail what Jesus taught. I offer a quick, cut-to-the-chase version. That's chapter 3. And then, in chapter 4, I admit something obvious. These are very weird little stories. Their texture is not like the texture of anything we are used to reading. That's disorienting. Episodes are extremely brief. One follows another at breakneck pace, often inexplicably. Jesus himself comes across as cryptic, abrupt, and at time arrogant. Yes, he heals people and he tells people that their sins are forgiven, but for a reader accustomed to modern narrative, it's often not clear what's going on. Or why. In chapter 4 I explain why the Gospels feel so odd: they use metaphor in remarkably structural ways. That is, Jesus taught in "parables," a Greek word that means metaphors. Most individual gospel episodes are parables about him. And so here I'll offer a very quick survey of how that works: if we want to end-run the biblical literalists, we have to begin by orienting ourselves to this systematic, structural, literary use of metaphor. In chapter 5–7, I'll lay out the general cultural context of the Gospels by pointing out just a bit of the evidence for the fact that Caesar Augustus (and with him the Roman empire generally) is the principal satiric object of the Gospels. Specifically, in chapter 5 I'll decode "son of God." In chapter 6, we'll wise up to the wise men. And in chapter 7, I'll unpack that famous phrase, eternal life in the kingdom of God. This is enough—I hope—to begin to orient us at least a little to the moral imagination of Jesus himself. Jesus was a brilliant social critic. Granted. But he has more to say for himself than "feed the poor" or "stop exploiting workers" or "establish social justice at all levels." Jesus is not an ancient-world progressive Democrat. Like any other great religious mystic, he sees compassion as powerful. He sees compassion as a path to personal and moral transformation—a path to healing both inwardly and socially. And he argues that the first step on that path is recognizing God's great compassion for us. But what does that mean? Bottom line, my life or yours, tomorrow morning: what does that mean? Not as a vague spiritual platitude. Not as a syrupy children's hymn like "Jesus Loves Me." What does compassion mean as a potent, transformative energy in our lives—regardless of how you name God? In the Gospels, Jesus offers examples, not explanations. These examples are stories. Not theories. Stories. These stories have a distinctive plot structure, which I'm going to call the "satiric reversal." In a satiric reversal, the expected outcome or ordinary meaning of a situation is turned on its head. Conventional wisdom is upended. Commonplace psychological dynamics are upended. If we don't recognize the satire, we may miss the reversal. And if we miss the reversal, we are left with a literal-minded misunderstanding of the episode. From the astounding wealth of the four biblical Gospels, I've selected four episodes that nicely illustrate how biblical literalism misreads the text. These four scenes also illustrate how much more the Gospels have to say for themselves than the flat-footed claim "Jesus was God." I'm not trying to summarize everything Jesus taught. I'm not trying to offer a detailed analysis of any one Gospel, much less all four simultaneously. I'm trying to explicate one centrally important literary strategy these storytellers use—one that Jesus himself used, one that powerfully informs the significance of his crucifixion. If I can demonstrate clearly any one literary strategy informing these stories, perhaps I can convince you that biblical literalists are missing a lot when they read these stories as literal accounts of "what really happened," period. In chapter 8, I will examine closely Jesus's major statement on nonviolence. Historians say that these lines do go back to the historical Jesus himself. Each teaching—each only a single sentence long—creates a dramatic scene. It does so if and only if you recognize the buried allusions. Which I will unpack for you. Across the board, these teachings mean the opposite of what they are almost always taken to mean by people who fail to recognize the allusions. This chapter will be much longer than other chapters, but it moves quickly because it's divided into five self-contained parts. In chapters 9 and 10, we'll look at two episodes further demonstrating the nonviolent confrontation that Jesus advocates to his followers. Both episodes involve coins. Chapter 9 will be the widow's last dime, which she donates to the Temple. In this instance, a cultural commonplace—something Jesus may or may not have said—is transformed by the gospel author into a recognizably witty "Jesus episode." Next up (chapter 10) will be the story concluding "render to Caesar the things that are Caesar's, and to God the things that are God's." That's a classic instance of Jesus’s skill with pithy little sayings—with aphorism. The Gospels are full of aphorism; Hebrew literary tradition generally tends in that direction. Once again the commonplace literal meaning of the aphorism is dramatically different from what it means in its full, richly satiric, densely allusive literary context. In chapter 11, we will reconsider the parable of the Good Samaritan, another text that historians attribute to the historical Jesus of Nazareth. It's such a famous story that almost everybody already knows what a "Good Samaritan" is. I hope to convince you that the conventional interpretation of the story is wrong. The point of the story is not "call 911 if you come upon the victim of a mugging." The satiric reversal here is remarkably thought-provoking. In the parable itself, the reversal is quite subtle—a technical aspect of narrative point-of-view. But Luke sets the parable into an imagined social exchange between Jesus and a man he meets. That larger narrative framework highlights and develops much further the implicit satiric reversal of the parable itself. Jesus's teachings, his storytelling, and his behavior provide a context in which to consider why the Romans saw him as such a threat. But why did Jesus seem to walk so willingly into a situation where his arrest and execution were inevitable? What are we to make of his death? That's a complex question. Fundamentalism has its simple answer: God needed Jesus to die because only human sacrifice could assuage God's wrath. That's not true. And the issues that actually are at stake are far more interesting. To see these issues, however, we need to understand two aspects of the relevant cultural context. First, there were competing expectations for what "the Messiah" was to do (chapter 11). Second, there's the puzzling subplot of betrayal by Judas Iscariot (chapter 12). What's that all about? These two snippets of allusion will be enough, I hope, to convince you that the Gospels are not the story of a God whose outrage can only be mollified by brutal human sacrifice. That leaves me, of course, with the most dramatic satiric reversal of all: the resurrection. Is the resurrection evidence of our personal immortality? What is it evidence of? Is it "evidence" at all? What do we make of the resurrection stories? That's chapters 13–15. But first, of course, a story of my own. It's a moment in which I realized that I didn't want to go to heaven. I realized that heaven as it's usually described makes no sense. There was one small snag. But I did not pursue it at the time. At the time, and for a while at least, post-op painkillers would keep me quiet.